The destination is seeking to raise awareness in tourists regarding its sports-themed activities and events via a press trip comprised of several national journalists as well as one from Brazil. 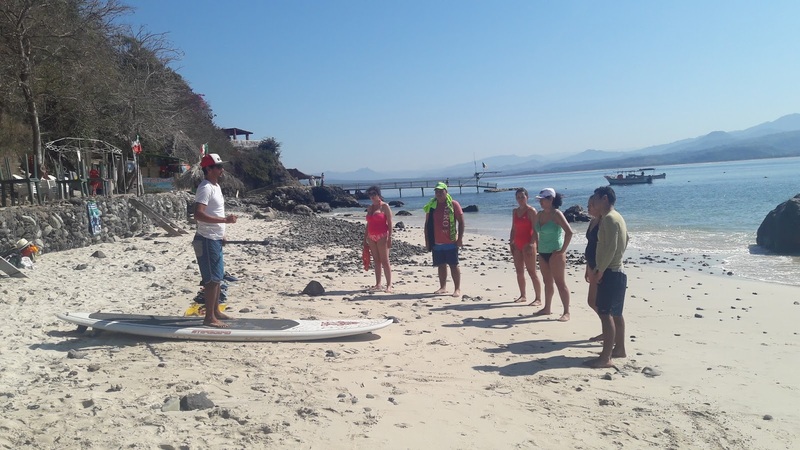 The Public Relations desk of the Riviera Nayarit Convention and Visitors Bureau (CVB) recently organized a mixed national/international press trip seeking to promote Sports Tourism. Brazilian fitness influencer, athlete and model Karoline Macedo Gomes returned to the Riviera Nayarit to cover, participate in and even become one of the winners of the Roxy Fitness Riviera Nayarit 2017. Karol was also part of the last Brazilian influencers press trip that visited in 2016, during which time she participated in the Riviera Nayarit Half Marathon and 10K. Afterwards, Karol enjoyed a session of wellness, fitness and lifestyle services in Nuevo Vallarta. From Mexico, there were journalists from the “De Viaje” section of Grupo Reforma, “Bon Voyage” from El Universal and Inbuss de la Provincia de Michoacán, all of whom also attended to cover the Roxy Fitness event. After the competition the domestic journalists enjoyed yoga, SUP and Yoga SUP in Lo de Marcos, the Isla del Coral and Chacala. Before returning home they ended their trip with a tour of Bucerías and La Cruz.